Form 15H is required for saving TDS which is deducted by banks. You need to simply fill form 15H form at your Oriental Bank of Commerce Branch to save TDS. If you are looking for Form 15H of Oriental Bank of Commerce? Get that form in PDF Format from BankForms.org. Download Oriental Bank of Commerce Form No. 15H in PDF Format. Form 15G is required for saving TDS which is deducted by banks. You need to simply fill form 15G form at your Oriental Bank of Commerce Branch to save TDS. If you are looking for Form 15G of Oriental Bank of Commerce ? Get that form in PDF Format from BankForms.org. 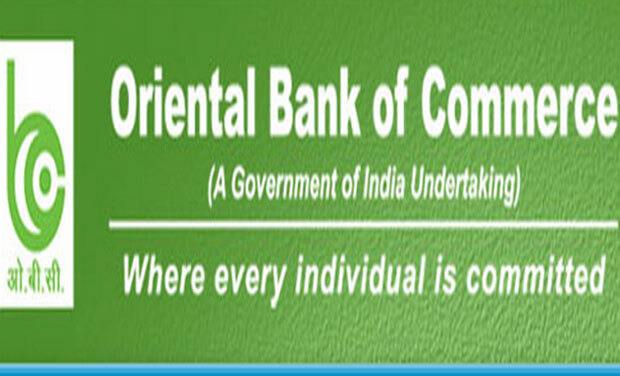 Download Oriental Bank of Commerce Form No. 15G in PDF Format. Download Oriental Bank of Commerce UID / Aadhar Updation Form. All banks made it compulsory to update Aadhar with them to link their Bank Account. You can download Oriental Bank of Commerce UID / Aadhar Updation form from here. Download Oriental Bank of Commerce Aadhar Updation form in PDF, Oriental Bank of Commerce UID updation form in PDF, download Oriental Bank of Commerce UID / Aadhar Updation form absolutely free from here. So, Download Oriental Bank of Commerce UID / Aadhar Card Updation form to link your bank account. Download Oriental Bank of Commerce RTGS form / NEFT Form here for transfer of Funds in India. This is the best place to download Oriental Bank of Commerce RTGS Form, Oriental Bank of Commerce NEFT Challan Form. Also you can download Oriental Bank of Commerce RTGS form / NEFT Pdf form, Oriental Bank of Commerce RTGS/NEFT Challan Softcopy, challan pdf. This site also provides Application for RTGS Remittance of Oriental Bank of Commerce /Oriental Bank of Commerce Real Time Gross Settlement Application etc. Download Oriental Bank of Commerce Deposit Slip, RTGS / NEFT Forms. Download Oriental Bank of Commerce Deposit slip which can be used for depositing cash and cheques in any of the branches in India. Download Oriental Bank of Commerce RTGS form / NEFT Form from here for transfer of Funds to any bank in India. Get the latest FDR Rates of Oriental Bank of Commerce and make your investment decisions accordingly.